Gina M. Bennett has led teams of experts in the most important counterterrorism intelligence of our time. Unknown by the public until the release of her book, Ms. Bennett has worked behind the scenes to help ensure our national security for over 20 years. Below is a collection of unclassified documents (all of these documents can be found online) and the media response. 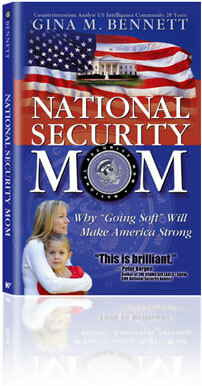 1999-2000  Gina Bennett was on staff of the National Commission on Terrorism  also known as the Bremmer Commission. August 2005 New York Times State Dept. Says It Warned About bin Laden in 1996 by Eric Lichtblau who calls Bennett's analysis "a prescient warning"